Bear with me… I’m still catching up on postings. My dad and I drove out to Whiteman Air Force Base in western Missouri the weekend of June 14 for their annual air show. Whiteman is the home of the B-2 Spirit, a.k.a. 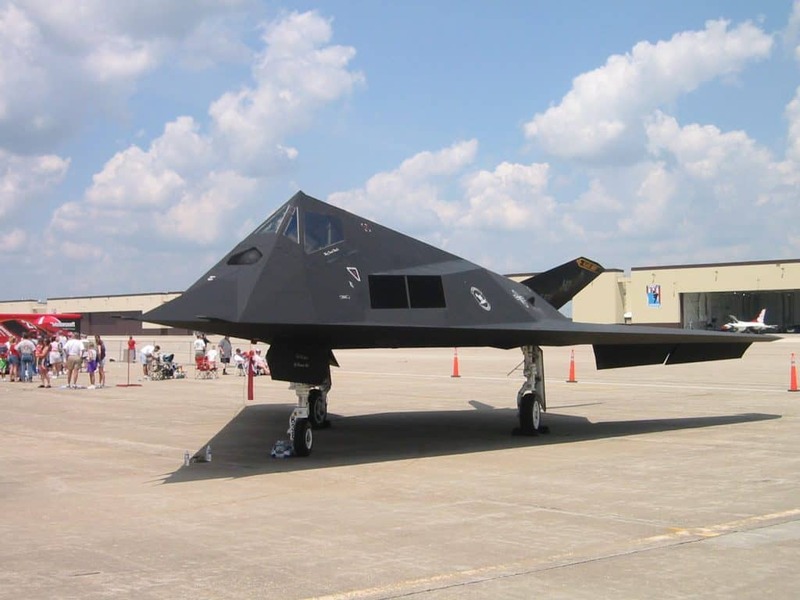 the Stealth Bomber. Until this show, I hadn’t had an opportunity to see an actual B-2, whether in flight or on static display. So this was a not-to-be missed show. Whiteman is about 3 hours away, in Knob Noster, Missouri. (Never heard of it? Don’t worry, you’re not missing much.) So we spent the day at the show on Saturday, spent the night in Concordia (about as exciting as Knob Noster), and drove back to St. Louis on Sunday. The weather was fantastic the whole weekend, but standing on the concrete at the base made it seem a lot hotter and ensured we’d get a good tan. Whew! The Air Force Thunderbirds were there as well, celebrating 50 years of performing. Here’s a sample photo. For more pictures, check out my Wings over Whiteman 2003 Gallery.